By Ashish Modi. This article originally appeared here. To build an IOT application we required following things. A problem where we required IOT solution. Identify and design IOT based solution (Hardware + software + connection). Nowadays everything is connected to the internet. We need to move our existing system into IOT based solution. Use following mention tool and technology to create our first IOT solution. Arduino is an open-source prototyping platform based on easy-to-use hardware and software. You need to learn Arduino programming language to pass the set of instruction to a microcontroller on the Arduino board. The Raspberry Pi hardware has evolved through several versions that feature variations in memory capacity and peripheral device support. According to the problem, we are select sensors, here we are sharing some sensors details. To store data collected from different - different device, we required one system, for this, we are used cloud-based storage. AWS, SalesForce or Microsoft Assure etc provide public and private storage location in different - different regions. To Connect our hardware device to software based system we required some connectivity protocol. 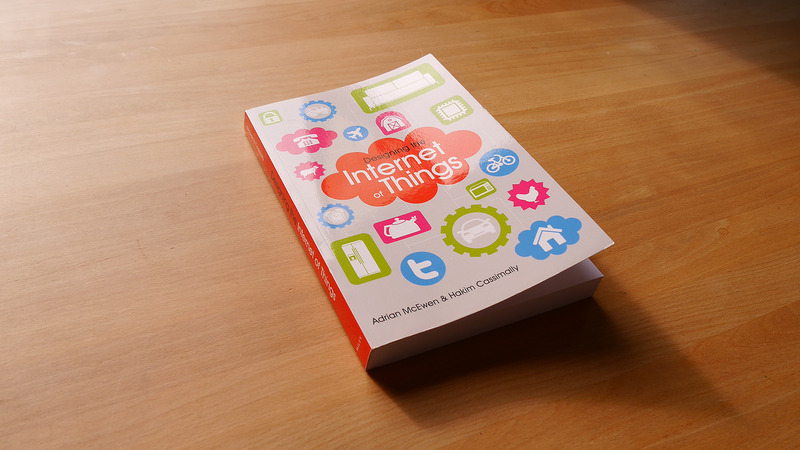 The Internet of Things is the connection of things beyond your computer and laptop – physical things – to the internet. It has enormous potential for both customers and manufacturers. It’s today’s buzzword. And it’s everywhere. It will soon invade our lives in ways that were unimaginable before, and there’s no stopping it. If you’re a consumer, IoT might have become part of your life without you knowing it. And if you’re a manufacturer, you should start thinking about making your products “smart,” lest you lose the competitive edge against your rivals. That’s the basic mindset that drives manufacturers in virtually every industry toward integrating internet connectivity into their newest products without thinking about the requirements, implications, challenges and pitfalls. And that’s where they stop: connectivity. I would call it “barely scratching the surface,” but I think even that would be an overstatement. In reality, it’s worse than that. A recent Forrester research commissioned by Xively showed that 62 percent of companies are just looking to differentiate their brand through adding connectivity to their products. But with more and more companies creating connected devices, connectivity per se is no longer a unique differentiator. No wonder we’re seeing vulgar references being made to the IoT since a lot of new IoT devices end up creating more trouble and headaches than utility and efficiency. And this is the phenomenon that is supposed to trigger the next digital revolution. Creating a successful IoT project is much more than just linking your next product to the internet. Here is what you should know before getting engaged in the manufacturing of your next smart appliance. One of the main failings of IoT manufacturers is to take security and privacy issues into account before developing and shipping their products. The result is fridges that leak Gmail credentials, light bulbs that leak Wi-Fi networks, toys that spy on kids, TVs that spy on viewers, and the list goes on. As long as security comes as an afterthought and not as a main area of focus, we’ll be seeing IoT being referred to as one of the most insecure sectors of the tech industry. Aside from security, privacy is another serious topic of content in IoT. With so much personal data being collected by IoT devices, manufacturers must – and unfortunately don’t – consider the privacy implications before shipping products. Much of this data is subject to regulations such as HIPAA. So sensitive data must be encrypted whether it’s on the device or in the cloud or while it’s being transferred. Sensitive data shouldn’t be stored at all. Data that is being shared with third parties must be vetted and anonymized. Users should be able to opt out of data collection programs and should be fully informed about the type of data that is being collected. Long story short, there are a lot of security and privacy complexities that you need to consider and plan for before diving into the project. What kind of technologies will this device of yours be using? Is it compatible with other appliances or gadgets that potential consumers will have installed in their home? Do they need to purchase and install a new router just because of your product? Is it really necessary that they install a new mobile app for your device only? What are the possible scenarios where users would want to connect their devices through platforms such as IFTTT? Does your IoT platform support that? These are all important questions that you need to answer in regard to your IoT product. It is imperative that your product seamlessly blend into the connected life of your clients without adding complexities, frustration and extra steps. Also, it is important that your technology be able to work in a legacy environment, so it should be able to continue functioning disconnected. It would be very embarrassing if your customers wouldn’t be able to turn on the lights because they’ve lost internet connectivity (I’ve discussed some potential solutions to this problem here and here). The point is, if your device ends up being a disconnect island in the IoT ecosystem of your consumers that has to be managed separately, there’s a likely chance that the consumers will abandon it and take their chances with some other brand. So you should think out of the box and in the broader scope when designing your IoT product. Also plan for the future, and if you’ll be manufacturing other IoT products in the same line in the future, consider how these devices will correlate and how you can standardize your IoT product line to improve compatibility. The true potential of the IoT lies in its ability to gather data, glean insights and make smart decisions which lead to improved user experience, better efficiency, costs savings, etc. But unfortunately, most companies stop at the gathering phase, piling up reams of data in their cloud servers and making minimal use of it. According to the Xively report, only about one third of firms are leveraging captured connected device data to provide insight to internal stakeholders and partners, personalize interactions with customers, or profile and segment customers. This is a missed opportunity for leveraging customer data, as most companies focus their time on just connecting products rather than creating actionable insights from the captured data. Companies should leverage third-party analytics and machine learning services to do a host of activities such as integrating data gathered from IoT devices with previous data they have about their customers. This can enable them to better segment their customers and categorize them based on their preferences and device usage. Also, data gathered from devices can provide the best feedback to improve existing products. By examining how devices are being used, manufacturers can find the strengths and failings of their products and make software and hardware design decisions to improve their current and future products. Naturally, your first IoT device won’t contain all the relevant features and characteristics that end users will expect form a smart appliance. Device data can help you correct your development path in the future. These are just some of the considerations that can help you get your feet wet with IoT design and development challenges. The full list can be much more comprehensive. For instance, I didn’t even touch upon the issue of support and management, which deals with updating mechanisms and customer support. What challenges do you face when designing your IoT products? How do you deal with them? Please share with us in the comments section. By Wade Sarver. This article originally appeared here. Hell yeah! Don’t get me wrong, you could use CAT 5 to connect most of this stuff, but the idea is to have the equipment everywhere and talking all the time, or at least when we need to. They need to be wireless controlled for it to work properly and to be autonomous. What fun would a drone be if you needed to have a copper line connected to it. The FCC laid out their plan to sunset copper lines. I did a lot of work on them but I won’t miss them because wireless is so cool! If you like copper so much, then put that smartphone down and use a landline, if you can find one. So, back to IOT, (Internet of Things), they rely on wireless connections for more than convenience. This is how the machine to machine, M2M, really take off. Whether it’s to control valves for a water company or to read your electric meter or to control natural gas flow, you need to have connectivity everywhere. We just need to define what that connectivity will be. It could be the standard carrier networks, LTE really. That is going to be key for so much of this. But most of these systems will need much less bandwidth. Small data networks, that sounds crazy, right? NOT! You see the new networks are built for larger packets, so they are so inefficient, and too expensive, for a simple command to open or close a valve. LTE and Wi-Fi seem like overkill for these applications, although they are everywhere and the most convenient to work with, especially Wi-Fi, it’s in your house and would be a great way for your smart home full of IOT devices to talk to your smartphone and the real world. That is why the LTE format may not be the best for IOT, although it would be everywhere so by default it may be the technology of choice. So how will wireless IOT work? They need something for outdoor communication like LoRa, the low-bandwidth system. There is a LoRa Alliance, if you want to read more about what they are up to. Another good article on LoRa is here where they go into detail about how it works. What they explain is that they are planning to use the spectrum that is left behind, with smaller bandwidth. They way the Semtech chip works is that they utilize spectrum that is sub giga-hertz, like 109MHz, 433MHz, 866MHz, and 915MHz where they have smaller amounts of spectrum. They need to stay away from the license free spectrum because it might interfere. There is another format called SigFox for outdoor communication. Again, made for very small packets of data. I found information at here if you want more information but here is what I got out of it. They are using the 915MHz spectrum (ISM band license free), using 2 types of Phase Shift Keying, PSK. This supposedly will help get the data through the noise. I am not sure what the coverage would be for something like this but I would bet its very limited. This is a low power, wide area, (LPWA) network. A good article on SigFox is here if you want to learn how they plan to deploy. I am told that they already have several deployments in the USA, although I don’t know of any personally. Now, for the smart home, inside a building, or the smart office, you could use Wi-Fi, ZigBee, Z-Wave, Bluetooth, or something proprietary. We all know Wi-Fi and Bluetooth, right? It’s on your smartphones and in your homes. What we don’t know if ZigBee and Z-Wave. What is ZigBee for IOT? Well, according to the ZigBee Alliance it is a wireless language that is used to connect devices, which is such a generic explanation that I could use for any wireless protocol. Come on! So I went into Wikipedia at https://en.wikipedia.org/wiki/ZigBee where they give a much better explanation. It is line of site, LOS, and very short-range. It works in the ISM band, just like Wi-Fi, (2.4GHz in most countries but also in 915MHz in USA and Australia, 784MHz in China, 868MHz in Europe). The data rate is very small, remember I said smaller packets are all you need? This is made for very small and efficient bursts of data. They also support mesh networking. Mesh means that the devices not only connect to the hub but they can repeat the signal to each other forming a mesh. This is a great way to extend coverage if you don’t need massive bandwidth. What is Z-Wave for IOT? Z-Wave takes ZigBee and makes some enhancements. It specifically works in the 908.42GHz range in the USA and 868.42MHz band in Europe. For a great explanation go here but its made for very small networks in the home. Find more at http://www.z-wave.com/ but I haven’t heard much more on this except that they have a version that will work with the Apple iWatch. 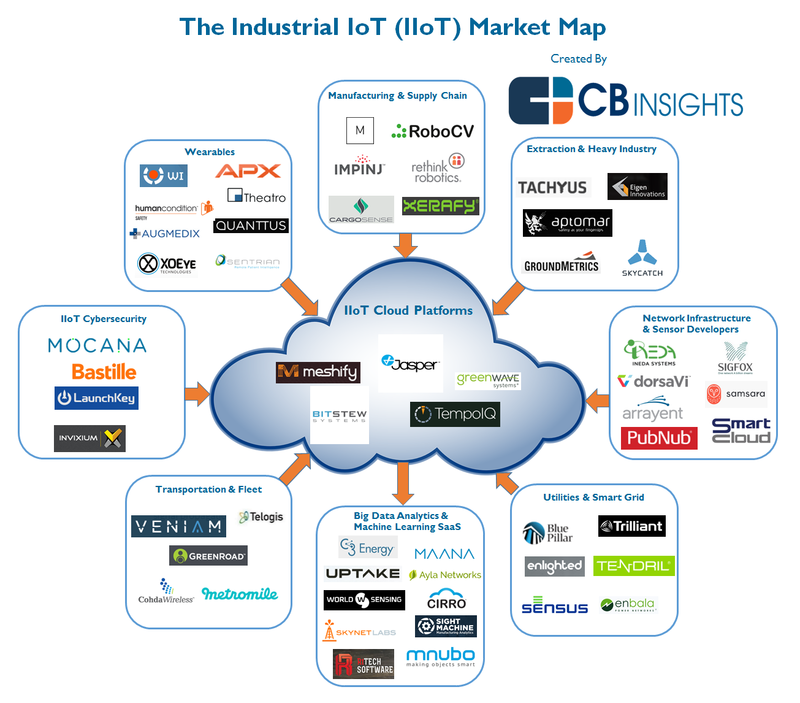 As you can see there are many technologies to roll out the IOT format. I don’t really know if there is a clear winner but I think it depends on the need. The wireless backhaul will come down to a chip they add to the device based on need, coverage, and cost. I could see someone using all of the technologies in a device to get the coverage they need, like maybe utility meters. That would make sense because it would be a one-time up front cost. However, for the in home stuff, cheap is what they need. I seriously don’t see people putting in a new network in their homes if they don’t have to but many companies will say you need a “hub” which will be the special format switch that their devices will, in theory, talk to the Wi-Fi in their homes. I already see it but it looks like they want to sell more devices in the home. So maybe high-end stuff will need the hub. I could see the hub as another line of defense in security, where if someone hacks your Wi-Fi and/or cable router then they would need to get by another device to get to your thermostat or light switches. However, for an outdoor network I could see a dedicated network taking off for several reasons, cost reliability, and security. It costs money to pay the carrier a fee every month when you have a small low data device on it when you could put one of the cheaper hotspots in a space to connect your devices. Again, it really comes down to cost and reliability. Many will say they want security, but how secure can they really be? So let me know what you think, email [email protected] when you think of something to say! Internet of things (IoT) is transforming everyday man-made landscape and making it smarter: from health care and home automation to public transportation and factory operations, humans are breaking new ground at a staggering rate. Of course, Google knows what you’ve searched for. So do Bing, Yahoo!, and every other search engine. And your ISP knows every website you’ve ever visited. Ever (even in private browsing). Google also knows your age and gender — even if you never told them. They make a pretty comprehensive ads profile of you, including a list of your interests (which you can edit) to decide what kinds of ads to show you. Google knows where you’ve travelled, especially if you have an Android phone. And the police know where you’re driving right now — at least in the U.K., where closed circuit televisions (CCTV) are ubiquitous. Police have access to data from thousands of networked cameras across the country, which scan license plates and take photographs of each car and their driver. In the U.S., many cities have traffic cameras that can be used similarly. Your phone has also probably deduced where you live and work. The Internet knows where your cat lives. Using the hidden meta-data about the geographic location of where the photo was taken which we share when we publish photos of our cats on sites like Instagram and other social media networks. Your credit card company knows what you buy. Of course your credit card company knows what you buy and where, but this has raised concerns that what you buy and where you shop might impact your credit score. They can use your purchasing data to decide if you’re a credit risk. Your grocery store knows what brands you like. For every point a grocery store or pharmacy doles out, they’re collecting mountains of data about your purchasing habits and preferences. The chains are using the data to serve up personalized experiences when you visit their websites, personalized coupon offers, and more. HR knows when you’re going to quit your job. An HR software company called Workday WDAY -1.00% is testing out an algorithm that analyzes text in documents and can predict from that information, which employees are likely to leave the company. YouTube knows what videos you’ve been watching. And even what you’ve searched for on YouTube. Amazon knows what you like to read, Netflix NFLX -0.85% knows what you like to watch. Even your public library knows what kinds of media you like to consume. Apple and Google know what you ask Siri and Cortana. Your child’s Barbie doll is also telling Mattel what she and your child talk about. Police departments in some major cities, including Chicago and Kansas City, know you’re going to commit a crime — before you do it. Your auto insurance company knows when and where you drive — and they may penalize you for it, even if you’ve never filed a claim. Data brokers can help unscrupulous companies identify vulnerable consumers. For example, they may identify a population as a “credit-crunched city family” and then direct advertisements at you for payday loans. Facebook knows how intelligent you are, how satisfied you are with your life, and whether you are emotionally stable or not – simply based on a big data analysis of the ‘likes’ you have clicked. Your apps may have access to a lot of your personal data. Angry Birds gets access to your contact list in your phone and your physical location. Bejeweled wants to know your phone number. Some apps even access your microphone to record what’s going on around you while you use them. This is actually just the tip of the iceberg. As we dive deeper into the benefits big data can provide to us, we’ll also be happily coughing up more and more data. The iPhone Health app, for instance, can collect data about all kinds of intimately personal things about your health. It’s up to us, as consumers, to be aware of what we’re giving away, when, and to whom. I would love to hear your concerns and comments on this topic. With the continuing evolution of technology, it's not surprising how trends are constantly changing as well. A big number of companies try to create new trends or keep up and ride with the current ones as they create new tech startups that will hook the public and keep them wanting for more. Take Flappy Bird for example. Although the application was released May of 2013, it made huge waves in 2014 and even became the most downloaded free game in the Apple App Store. It even earned $50,000 a day! After feeling guilty about it's addictive nature, the creator of the game removed the game from application stores. But that gave opportunity for other developers to create their own application that was similar to it. So not long after that, hundreds of flappy bird-like applications were created and released in the application stores. But now it seems like the hype has died down and flappy bird will now just become another tech trend faded memory. If you're one of the companies that are making plans now for a new tech trend or you're simply just making drafts for a new one, make sure you pay attention to what we think are the four rising tech trends this year. Bring out your pads and take note, people! Nowadays, people are getting smart. Companies are creating better smart phones. Don't know what the time is? Check your smart watch. You can now even wear your computer with smart glasses and smart homes are getting popular too. Yes, developers are finding new ways to bring smarter things in this world. Create your own application or device that will keep the momentum going. With plenty of emerging news about invasion of privacy, people are becoming more conscious about keeping things to themselves or just among a few people. Private applications like, Snapchat or ones that secure your pictures and other information have made waves because people favour them more for their privacy-promising quality. Look into creating or capitalizing more applications that will cater to this consumer need. With Amazon launching the video for their Prime Air, you know that they are coming. And with a great feedback of interest from everyone who watched the videos, we can predict that drones will no longer be something that we see on TV but something that we'll be experiencing very soon. With growing popularity of social media or websites, unlimited data became and still is a huge trend. Look into ways to use that unlimited data as opportunity to use it for either better advertising, create better products or develop the consumer's experience. The possibilities are endless.